MINIMUM STAY DURING WORLD CUP SEASON IS 7 NIGHTS This magnificent two-room apartment for a short term rent in Moscow is exactly what you need. It is located in the 15 minutes of walk from Red Square and the Kremlin, and you can watch panorama of the capital center right from its windows! Incidentally, all windows here are glass units. 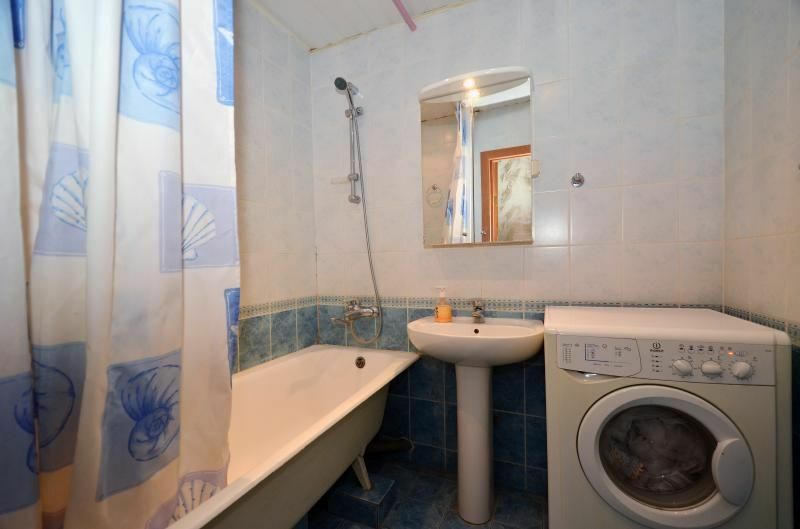 Your stay would be provided with all modern conveniences: a separate bathroom, a bath, and a washing machine. 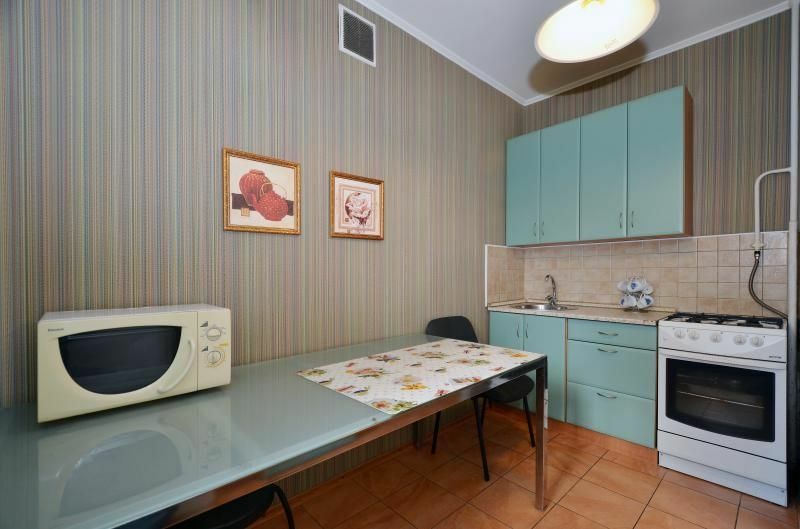 In well-equipped kitchen you will find not only a refrigerator, a stove, a microwave and an electric kettle, but with stylish suite and dining table and even an oven and a cooker hood. With such a service you are free to organize a home banquet! In the cozy living room there are comfortable chairs, a sofa and a table waiting for you - everything to talk, watch television or listen to music. So do not forget to take with you some favorite discs.Rooms in the apartment are designed in different colors. Furniture and accessories are all chosen with love, and we are confident that renting apartment for a short time in Moscow will bring you only pleasant memories! Sleeping spots: 2+2+2 Appliances: TV set, refrigerator, telephone, microwave oven, electric kettle, iron, washing machine, DVD-player,unlimited wifi internet connection. Comfort.The apartment is equipped with everything needed for a comfortable stay . A full set of bed linen and towels . The price includes one set of clothes . 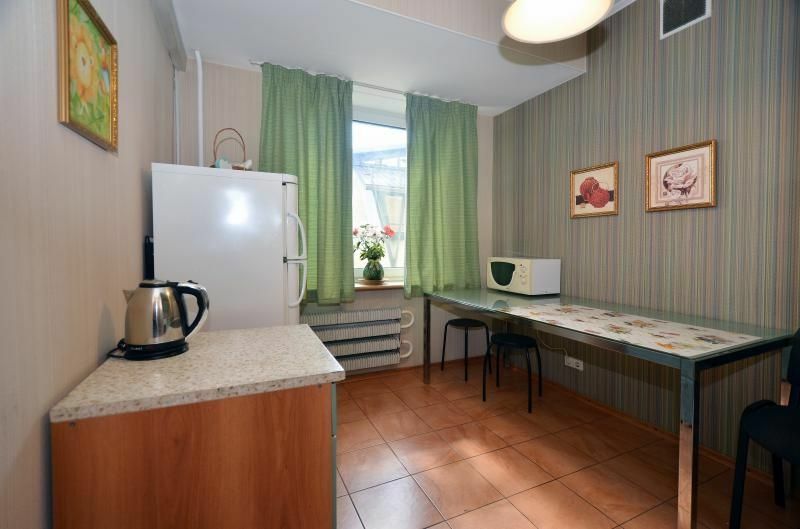 Additional set costs 200 rubles for the entire stay. Apartment cleaning and change of linen free of charge once a week. Transfer (taxi service) Meeting at the airports Sheremetevo 1,2, Domodedovo 40 EUR Seeing-off to the airports Sheremetevo 1,2, Domodedovo 40 EUR Meeting at the train station 20 EUR Seeing-off to the train station 20 EUR. , . 15- ! : , , . , , , . , , , , . , , , : 2+2+2 : , , , , , , , wifi. . . . . 200 . . . : 2000 . .